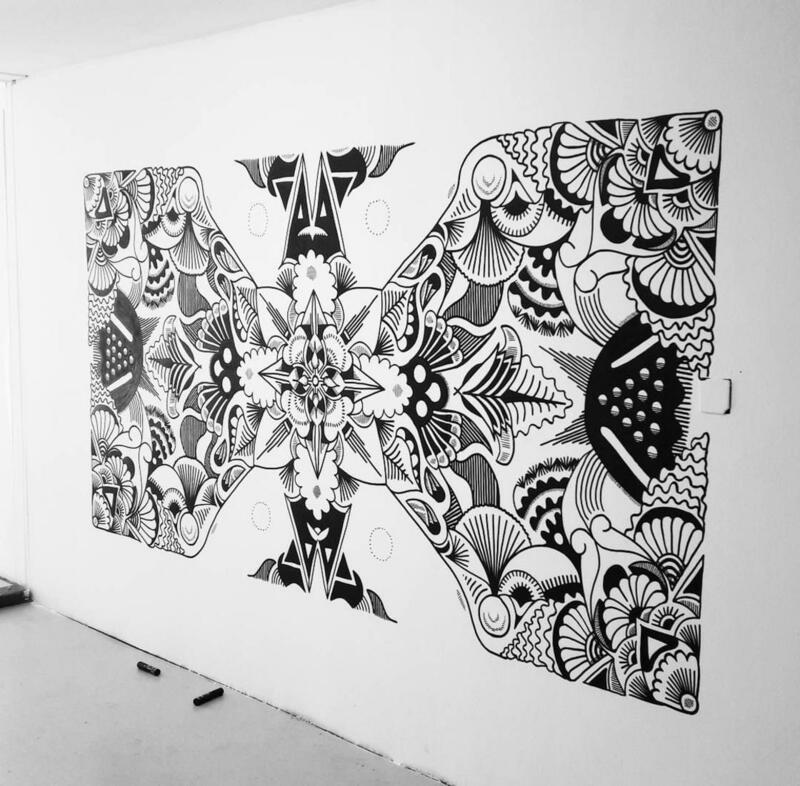 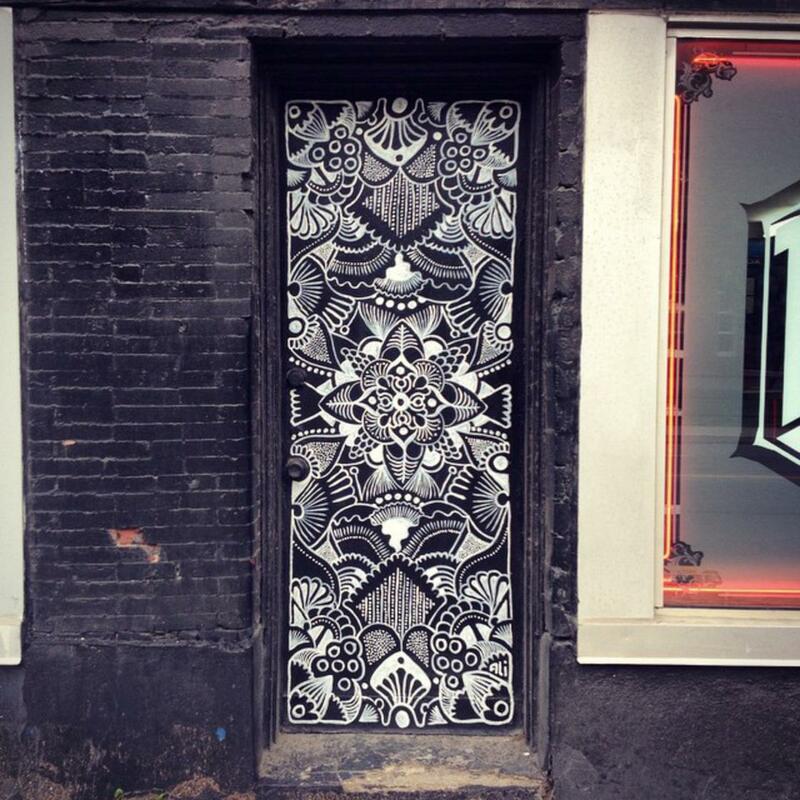 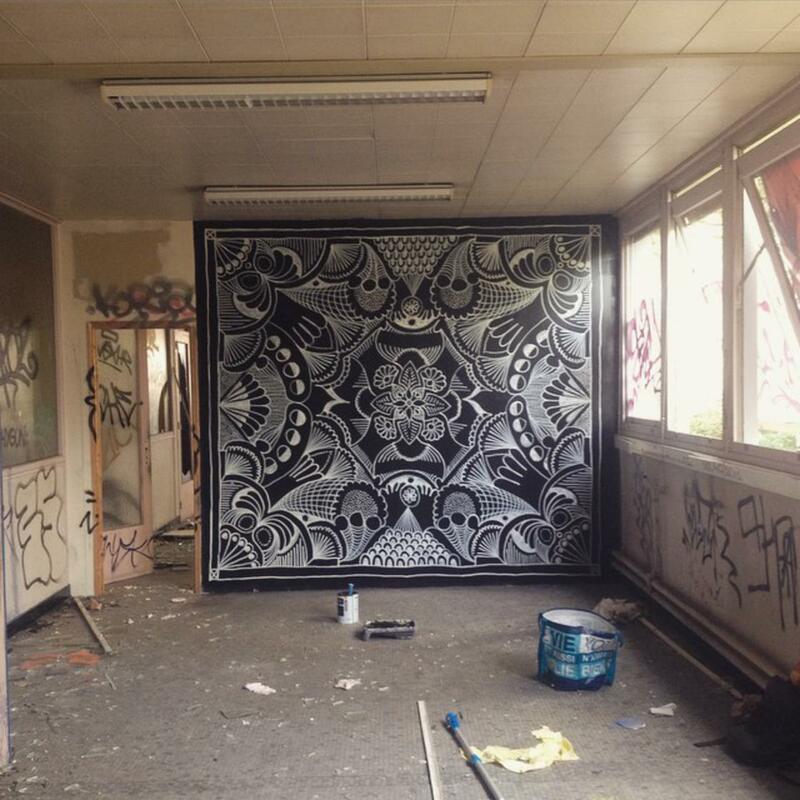 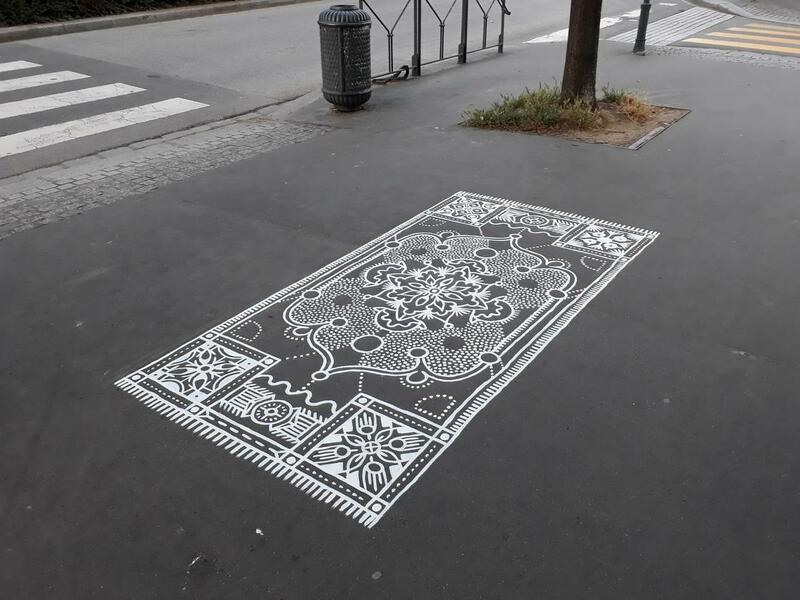 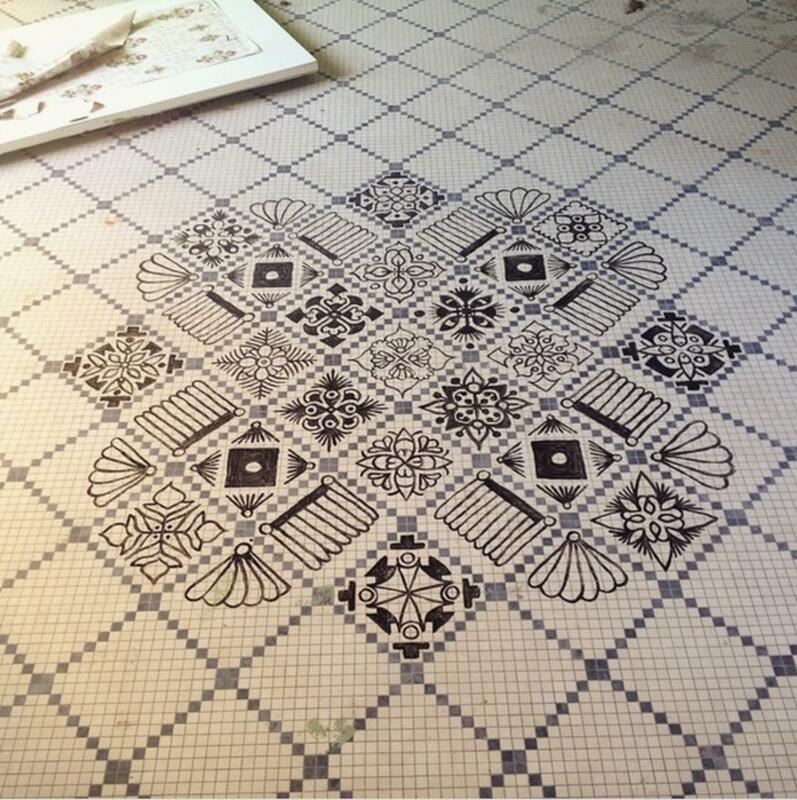 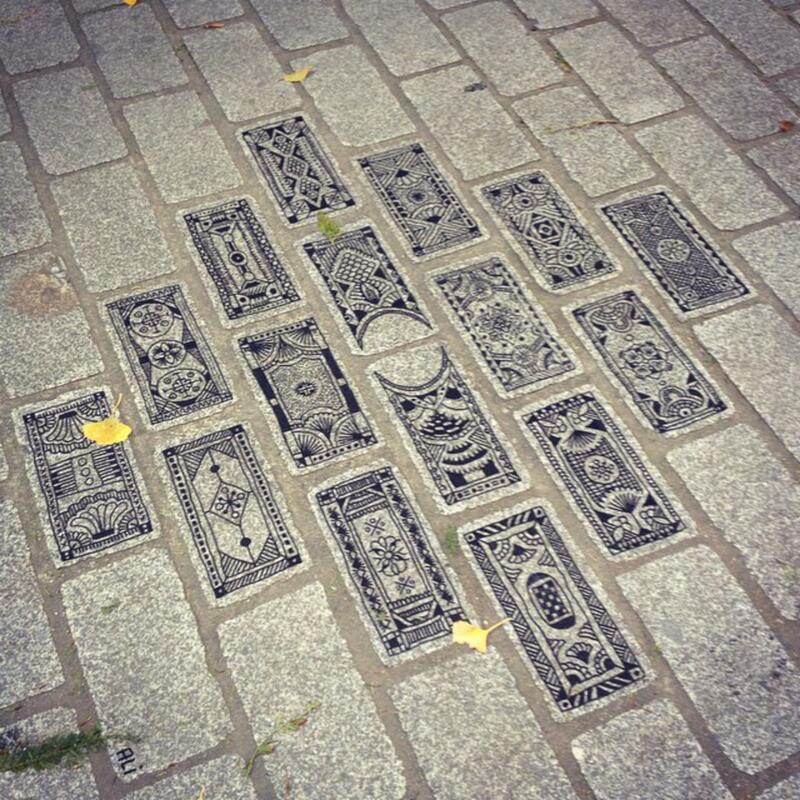 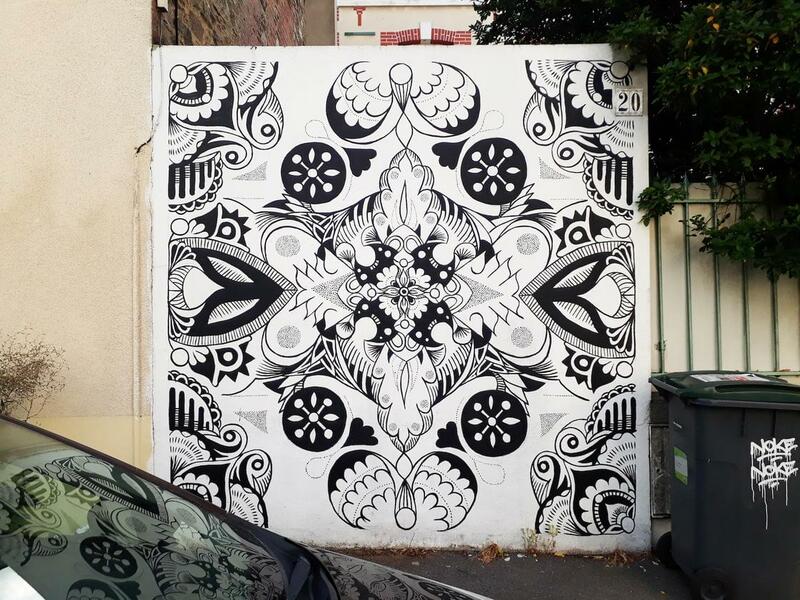 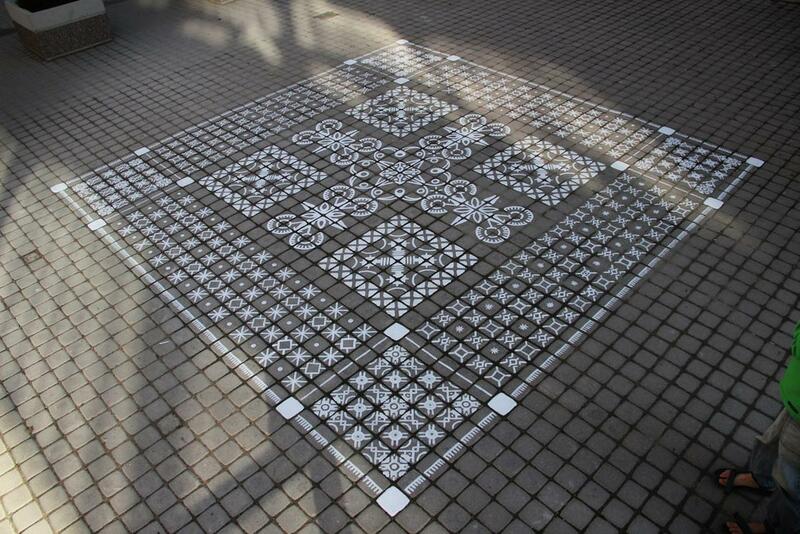 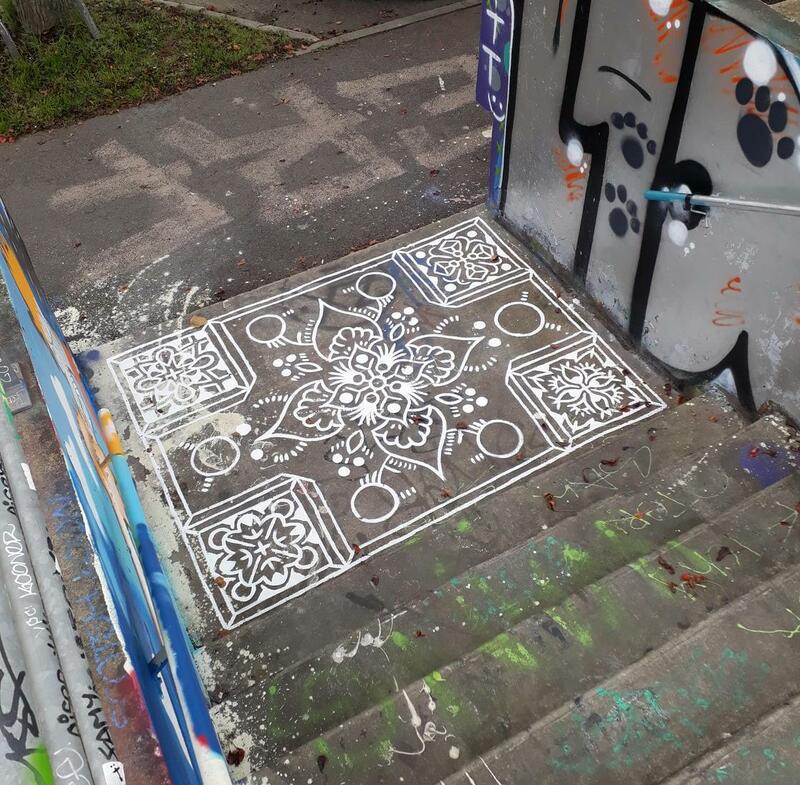 A selection of street art creations by Arthur-Louis Ignoré, aka ALI, a young artist from Rennes who explores pattern and ornament in an urban environment. 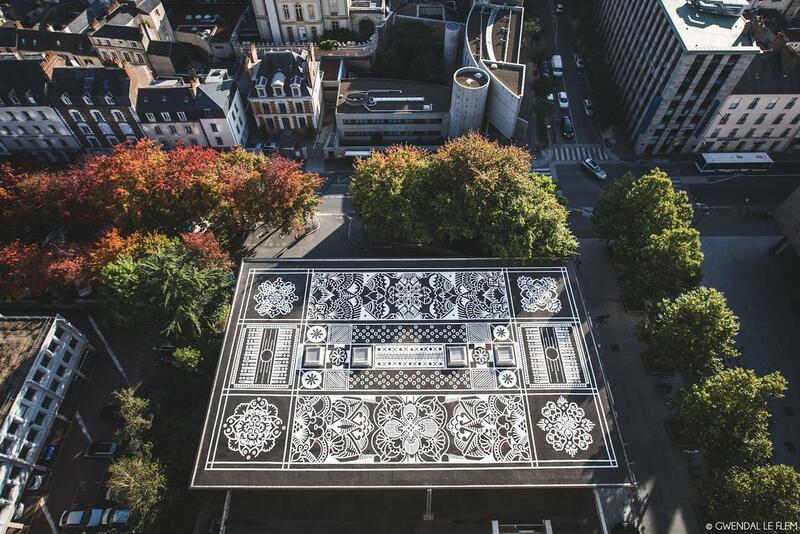 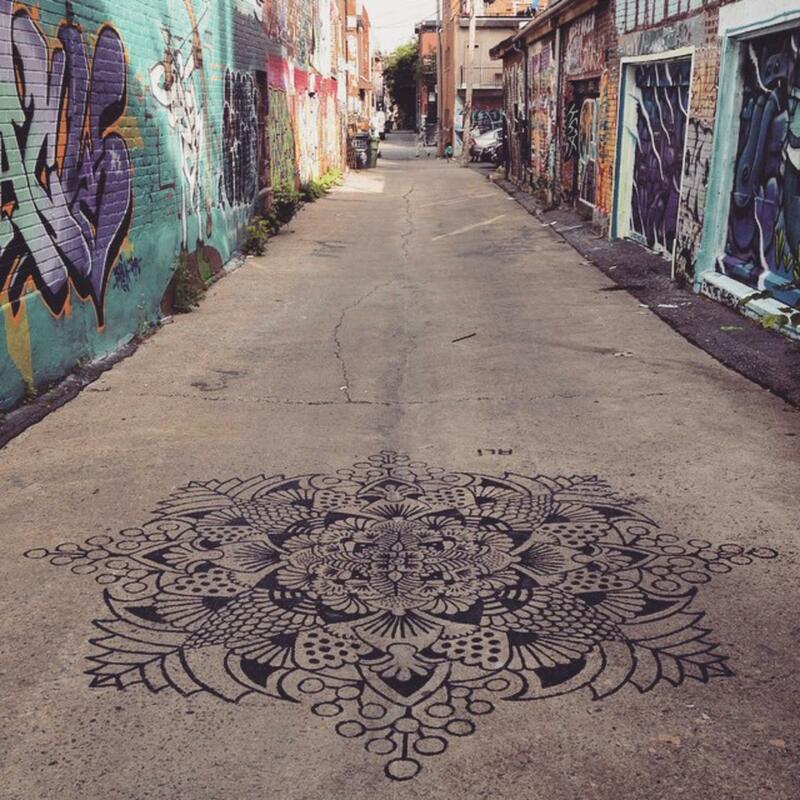 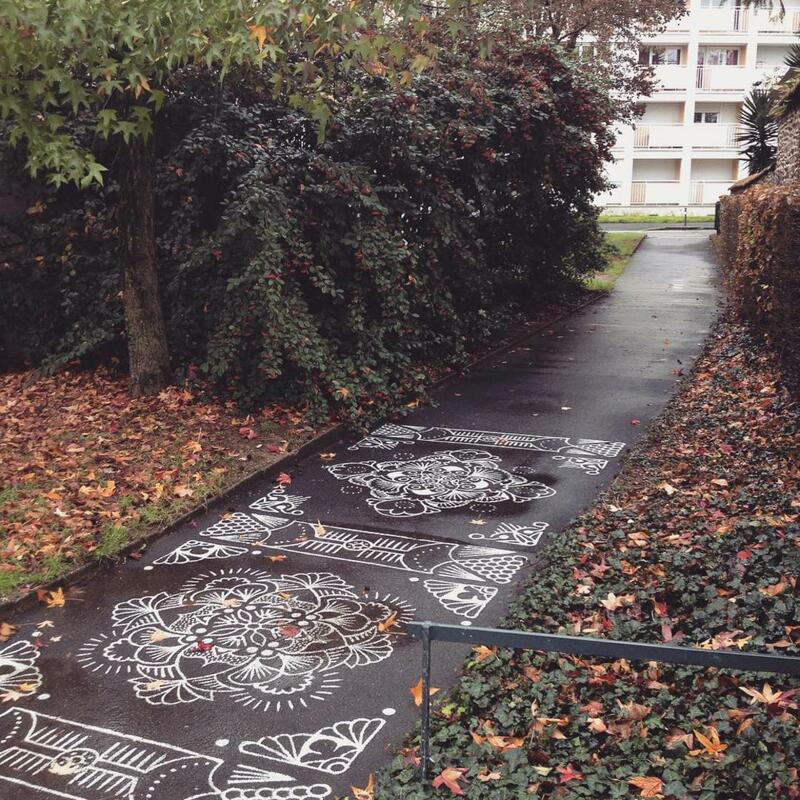 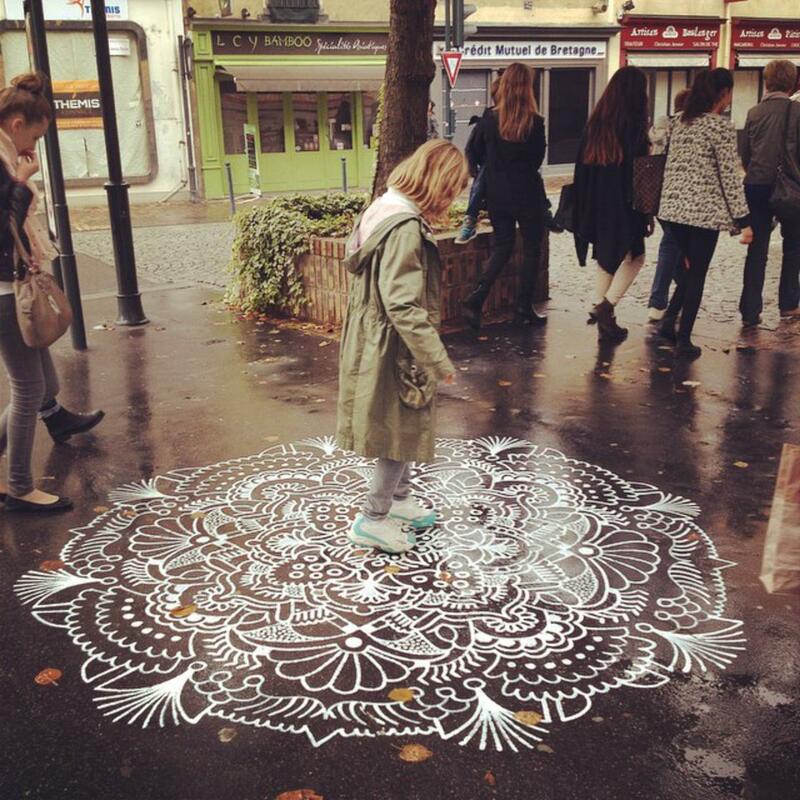 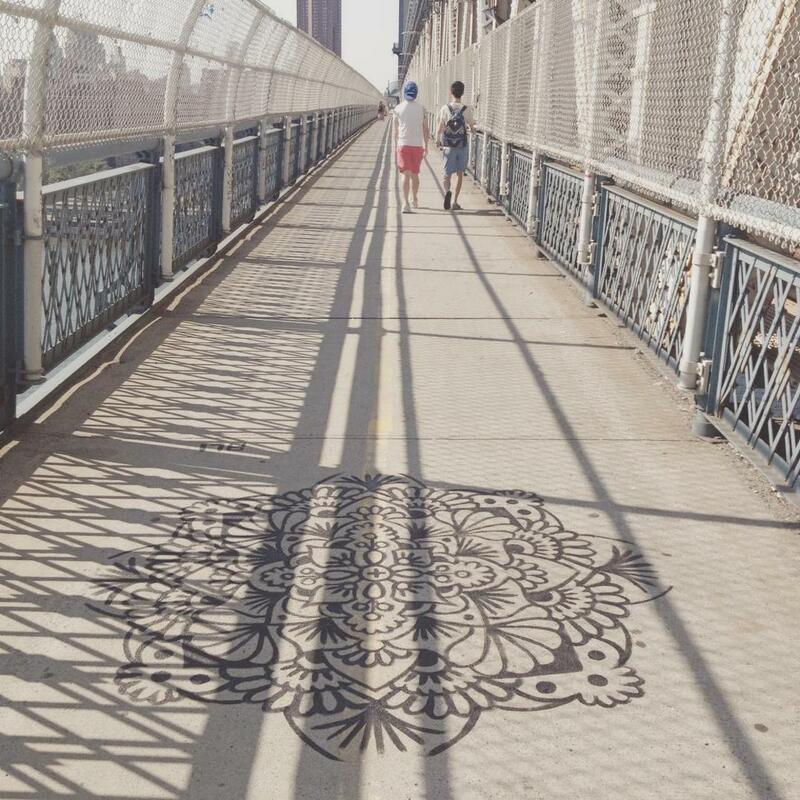 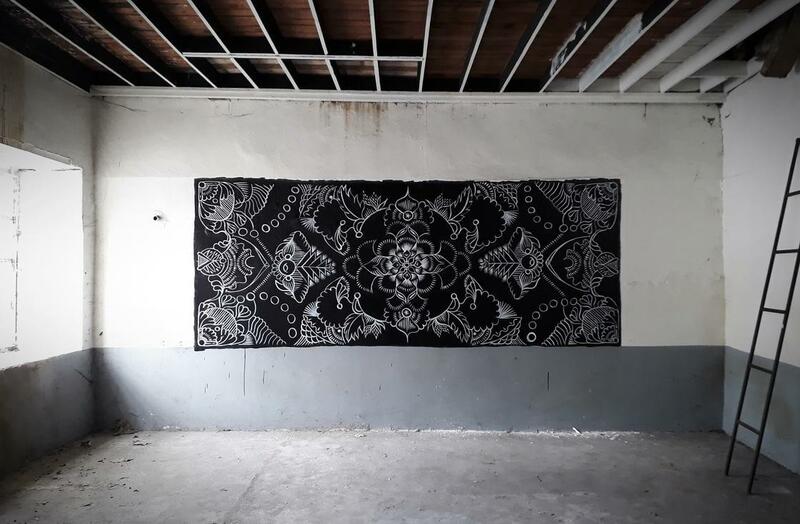 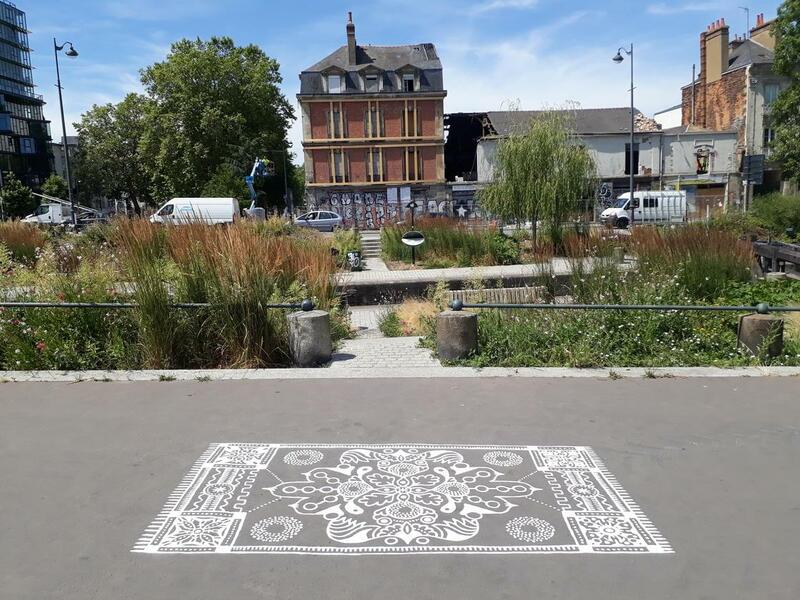 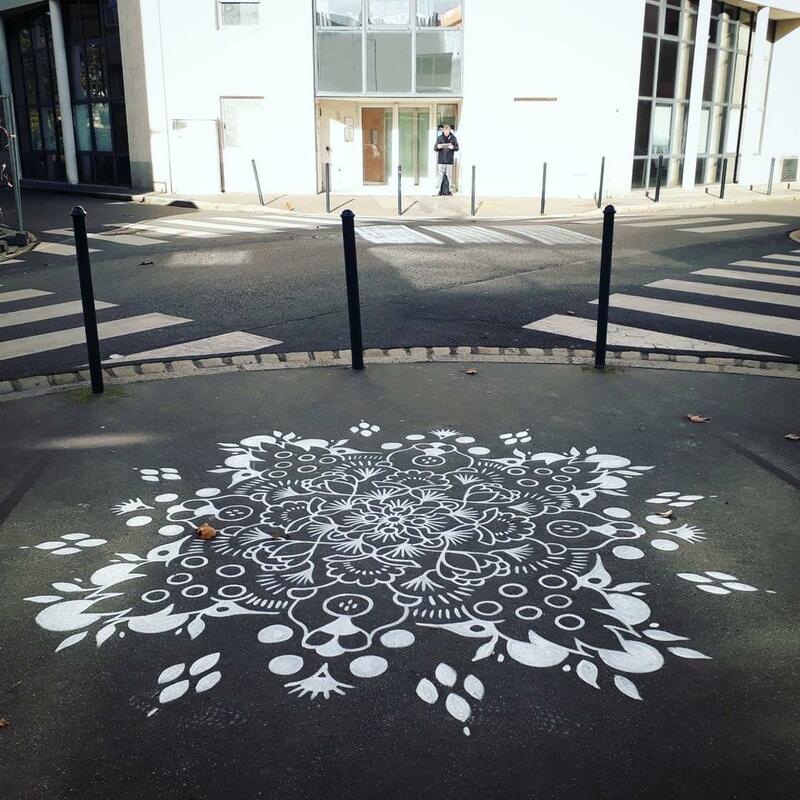 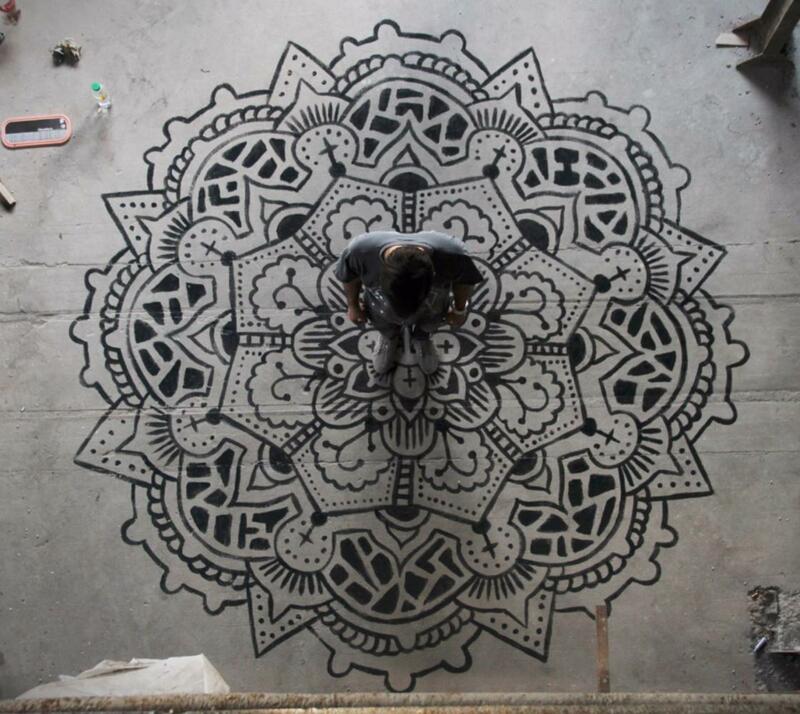 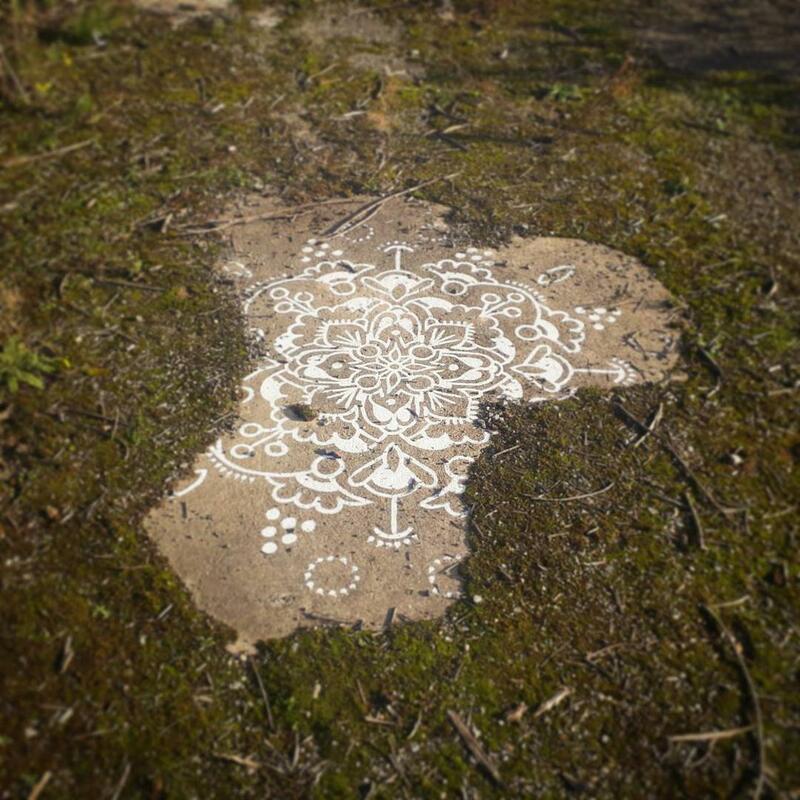 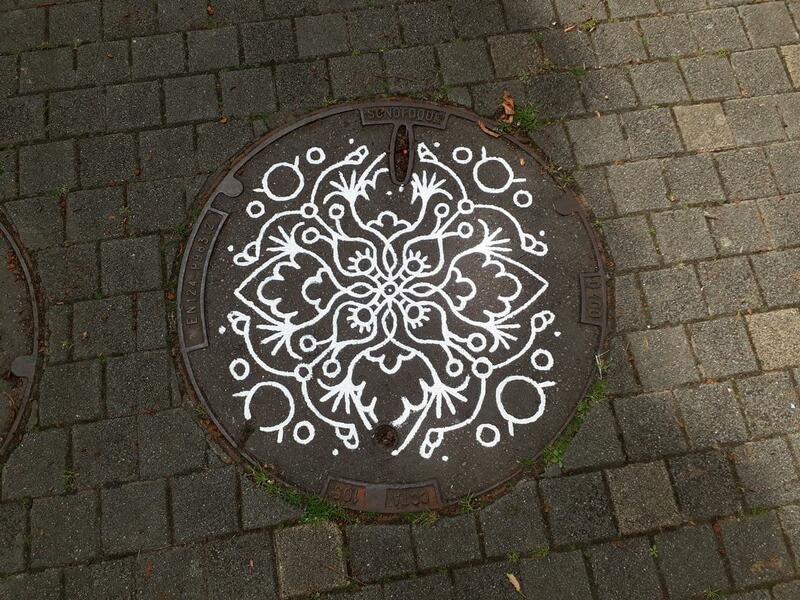 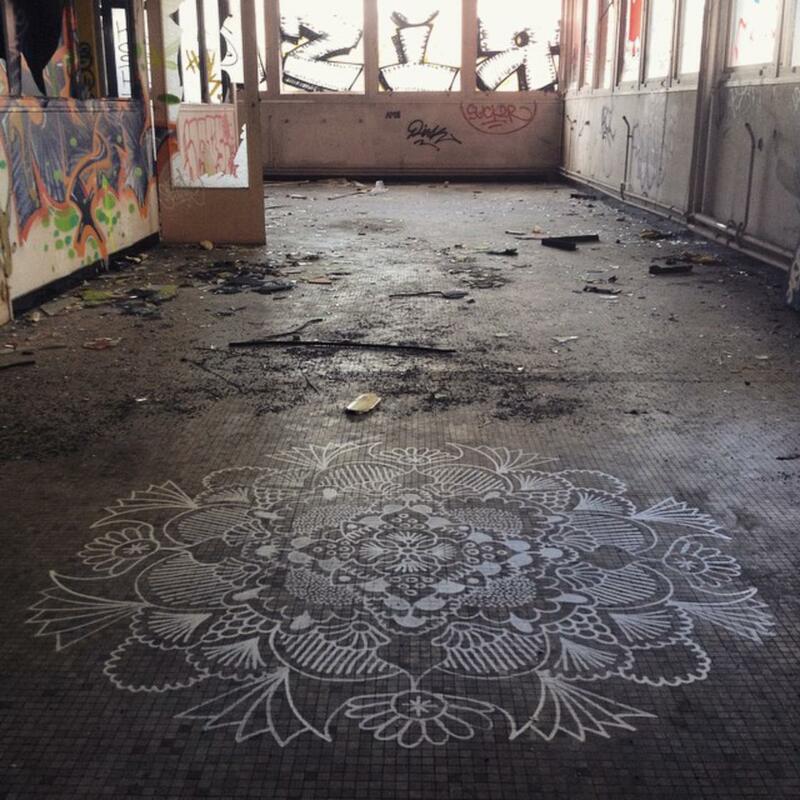 From the little detail hidden in the city to the most massive creation like his 1100m2 painted roof, ALI has taken to the streets with poetic artworks, patiently tracing the lines and curves of his mandalas. 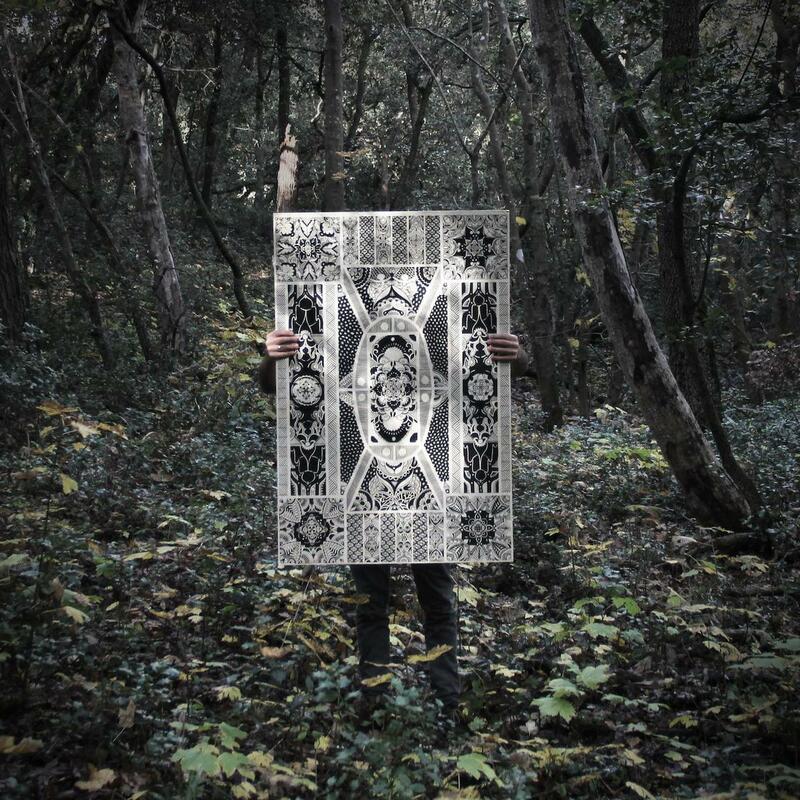 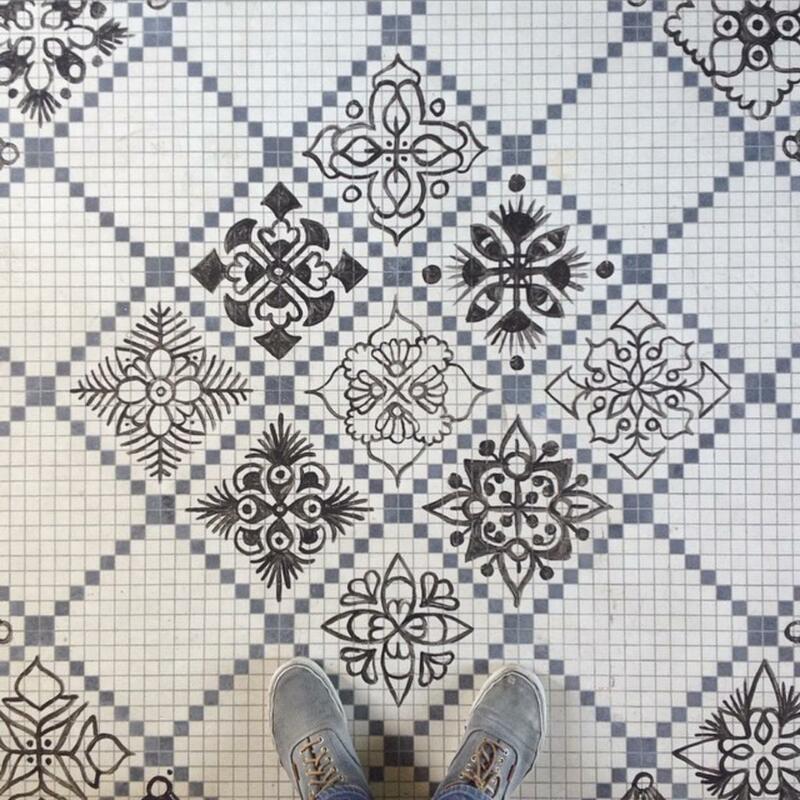 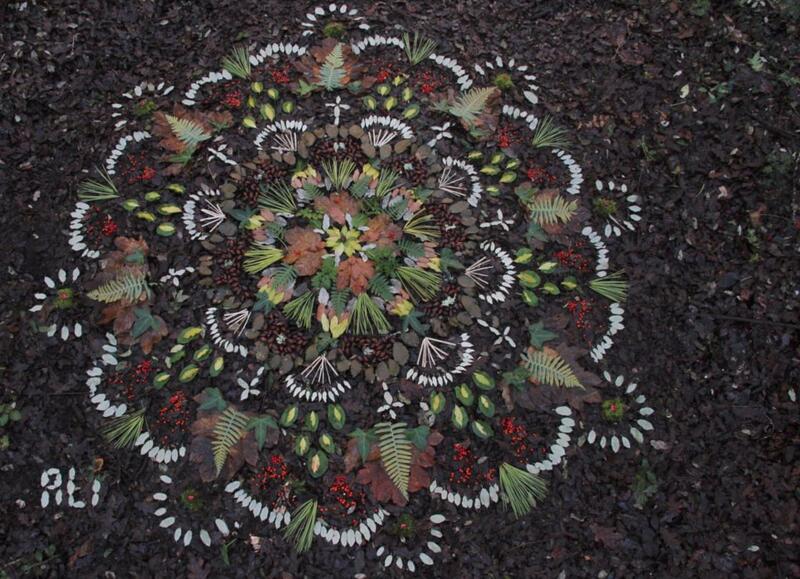 ALI also explores other practices, such as paper art or land art, and you can follow his work on Behance or Instagram.